At MarketingSherpa Summit 2016, numerous presenters took the stage to urge their fellow peers to switch their focus from gimmicky, one-sized-fits-all “personalization” to true individualization. Two companies in particular, SCI Solutions and SAP North America, leveraged individualized marketing to significantly increase new opportunities. SCI Solutions, a Seattle-based company that offers software to hospitals and other medical facilities, is faced with an impossibly crowded marketplace. The contact information for every buyer is easily available, and opens rate across the industry are less than 1%. 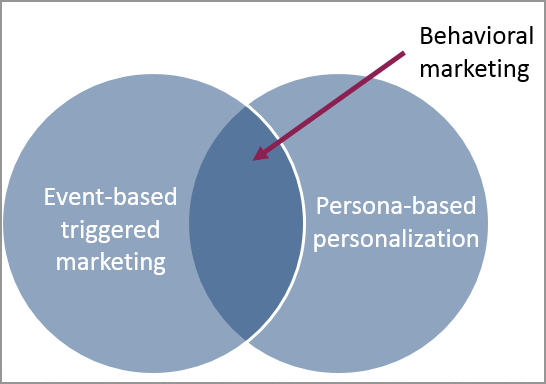 To combat this, Jeremy Mason, Director of Demand Generation, SCI Solutions, and his team combined the most effective aspects of persona-marketing and trigger-based marketing to create a truly individualized behavioral marketing plan. For example, Jeremy’s ideal prospect is the hospital CFO. When targeting this particular buyer, Jeremy emphasized a slow building of trust over the course of months, as quantified by a custom lead scoring system that the SCI team created. Messaging may start with something as simple as an infographic. Two weeks later, the team would follow up with an ebook, or an article. Two weeks after that, CFO’s would be sent an invitation to a pre-recorded webinar. Based on the actions the prospect took (and their specific persona), points were added to their score. When their score reached 50, they were considered hot, and the team would send an invitation to try a demo of SCI’s software suit. By leveraging this approach, SCI experienced a 132% increase in responses and 35% growth in opportunities. While SCI solutions targeted specific personas, another tech-based company, SAP, built individualized marketing based on account. Due to the repeat nature of SAP’s business, and the expansion opportunity that each account provides, every customer is crucial, with a handful of the most-important accounts driving up to 30% of SAP’s total revenues. Despite this, prior to the launch of the ABM program, SAP North America’s marketing was generic and highly matrixed. During his presentation, Eric discussed a difficult phone call he received from one company asking to no longer be contacted by SAP at all due to the irrelevant nature of their communication. To counteract this, Eric knew that he must start treating accounts as individualized markets of one. To test this new ABM approach, the SAP team chose five key accounts from their list of strategic customers for use in the pilot program. These accounts were hand-selected due to their growth potential, engagement with sales and perceived commitment to SAP. Extensive research was then conducted on each account. The team talked to customers to determine their vision, their goals and their ideal audience. They identified growth targets, and how software contributed to those goals. Only then did they plan the highly-focused, executional elements of the campaign. By focusing on individualization, SAP North America saw a $27 million increase in new pipeline opportunities. As marketers, it’s vital that we remember that our prospects are people, not cells on a spreadsheet. By taking the time to figure out what makes each prospect or segment tick — spoiler: it’s not simply seeing their name in a subject line — we maximize our opportunities to build real, meaningful relationships.